Now Hiring Sales Agents for our office! Interested in a career in Real Estate? 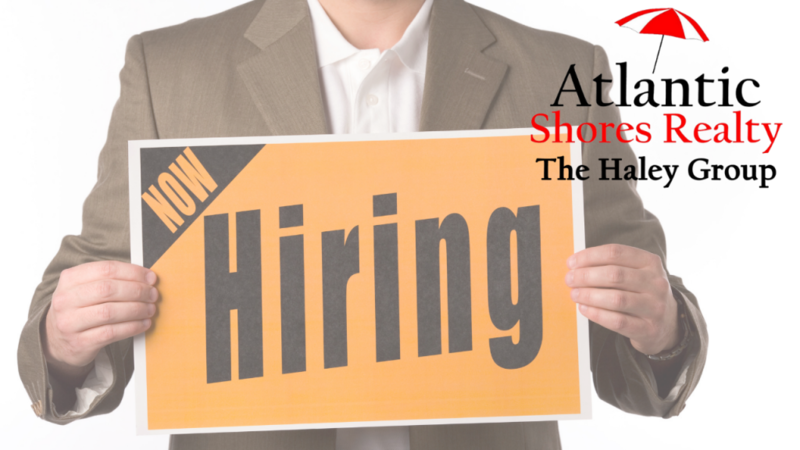 The Haley Group of Atlantic Shores Realty is currently hiring Sales Agents. Team Agents are full time, year round, and work out of our Ocean City office. A Real Estate License (preferred but not required), a positive attitude, strong problem solving skills, the ability to adapt to the ever changing real estate world on a daily basis, and a sky is the limit philosophy, are key attributes for the position.